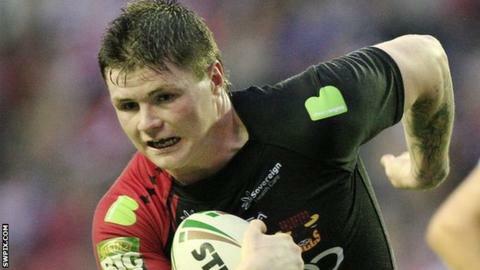 Bradford Bulls loose forward John Bateman has signed a three-year deal with the Super League side. The 19-year-old England Academy player made 15 league appearances for the Bulls last season. "It was upsetting hearing the club might have to sell me because of the financial trouble because I've never wanted to go," he told BBC Radio Leeds. "There was interest from other clubs but I'm happy here and I think there's a bright future." He added: "I've learnt many things from last year and I think we showed we can do some real damage next year. "I think the fans will enjoy what we'll have to offer next season under the new coach."